With consumers constantly inundated with advertising and promotions, it’s a battle to deliver a powerful message that is well remembered. Is there an art to this or is it largely luck? Well.. you probably guessed it. Like everything in marketing, it’s about your creative thought-process behind that message. Whether it’s a TV jingle that you just can’t get out of your head or a slogan that you’d recognize a mile off, they’ve all been designed to evoke emotion. We remember messages by an emotional recall. The exact emotion could be anything, as long as it activates that emotion long after the receiver has engaged with that content. A radio advert for a new local cleaning service might have a theme tune that is so silly it becomes humorous. This creates an emotional response because as you listen, you might laugh at the lyrics or sing-along because it’s so outrageously silly. A postcard sharing a new local charity helping animals in need might have such a strong visual that it creates empathy in the form of compassion, or even sadness, that in turn means we don’t forget that message for the rest of the day, week or month. Some messages are designed to make the receiver take action there and then (like the charity postcard). Other messages, like a TV or radio advert with a memorable jingle, are also created to build brand awareness and association for future needs. When you hear a radio advert for home insurance it’s unlikely you will need to renew your insurance around that time. However, if you can recall the song and the name of the business, it becomes etched in your memory for that point at which you are looking for a new home insurance providers. Humor, happiness, excitement, outrage, sadness, compassion. Generally, it doesn’t matter what type of emotional response a receiver has, as long as it’s not a neutral one. No response = no impact. But it is worth noting that if your message generates outrage or sadness that this is your intended response. This type of response would only work for select businesses, like non-profits or political campaigns. You should initially try to select an approach which you feel connects best ‘for that specific audience’. It all starts with identifying the specific audience and trying to understand which appeal will really connect (disrupt) them. It’s simply not true to use a blanket statement like ‘short and snappy messages are always better’. This completely depends on the message itself (the complexity of the issue) and the media being used. 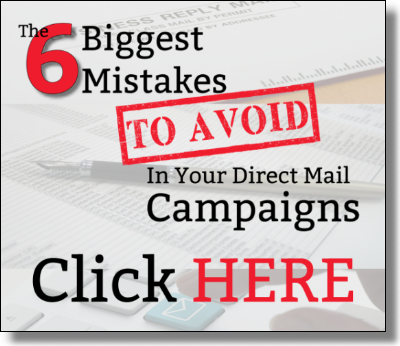 When running a direct mail postcard campaign, a short hard-hitting message is very effective. With a postcard you want to say as much as you can with very few words so short, snappy and packing punch is the way to go. If you sell something a little more complex, although you still don’t want to overwhelm receivers with too much information, you also don’t want to neglect key selling points. Finally, ask yourself, is your message even worth remembering? What’s so great about it? What makes it different? The message itself is still very important. Are you simply selling local cleaning services or are you RE-DEFINING domestic cleaning in family households?